Uefa president Michel Platini has filed an "urgent" appeal with the Court of Arbitration for Sport (Cas) to have a 90-day Fifa ban lifted. Platini, 60, was suspended with Fifa president Sepp Blatter in October while corruption claims are investigated. They deny any wrongdoing. 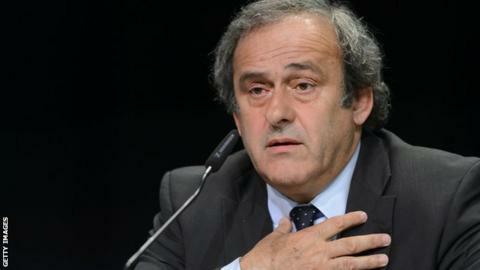 Platini wants to run for the Fifa leadership but is banned from any football-related activity. Cas said: "We will determine the next steps of this procedure next week." If Platini wins his appeal, the Fifa electoral committee has said it would review his case, but there is no guarantee the former France midfielder would be able to stand in the election to replace Blatter. Blatter has announced he will stand down, and Fifa's next presidentwill be chosen at a special congress on 26 February 2016. In a short statement on Friday, Fifa's reform committee said it would recommend changes to the governing body at an executive committee meeting on 2 December. The reform committee was set up this year following the corruption scandal that engulfed football's governing body.